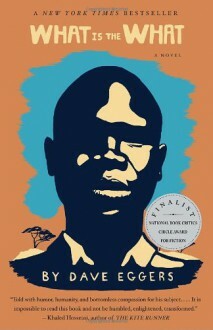 New York Times Notable Book New York Times BestsellerWhat Is the What is the epic novel based on the life of Valentino Achak Deng who, along with thousands of other children —the so-called Lost Boys—was forced to leave his village in Sudan at the age of seven and trek hundreds of miles by foot, pursued by militias, government bombers, and wild animals, crossing the deserts of three countries to find freedom. When he finally is resettled in the United States, he finds a life full of promise, but also heartache and myriad new challenges. Moving, suspenseful, and unexpectedly funny, What Is the What is an astonishing novel that illuminates the lives of millions through one extraordinary man.